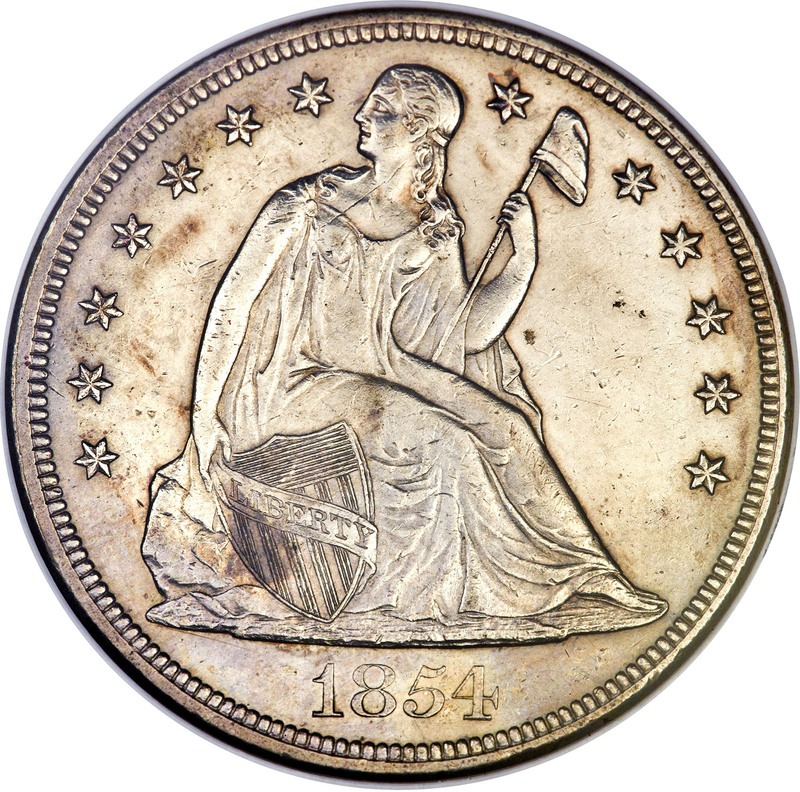 Business strike mintage of Seated Liberty dollars amounted to 33,140 pieces in 1854, a low mintage to be sure, but not unusually low for the era. 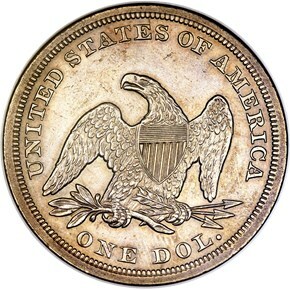 For some unknown reason, the date became scarce almost as soon as it was issued. 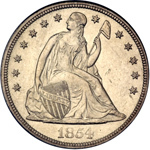 Q. David Bowers speculates many examples may have been appropriated for the China trade, as there was great demand for silver from that remote quarter. 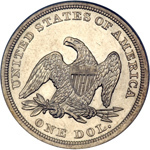 Writing in the American Journal of Numismatics for March 1869, early dealer Edward Cogan listed the silver dollar issues he considered rare. 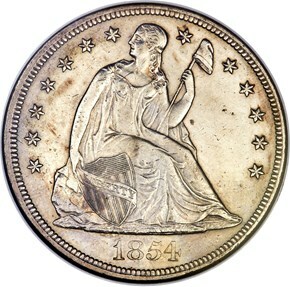 Four Seated Liberty dollars made the list, the 1851,1852, 1854, and 1858. The other dates on Cogan's list have become celebrated rarities over the years, but the 1854 has remained obscure. 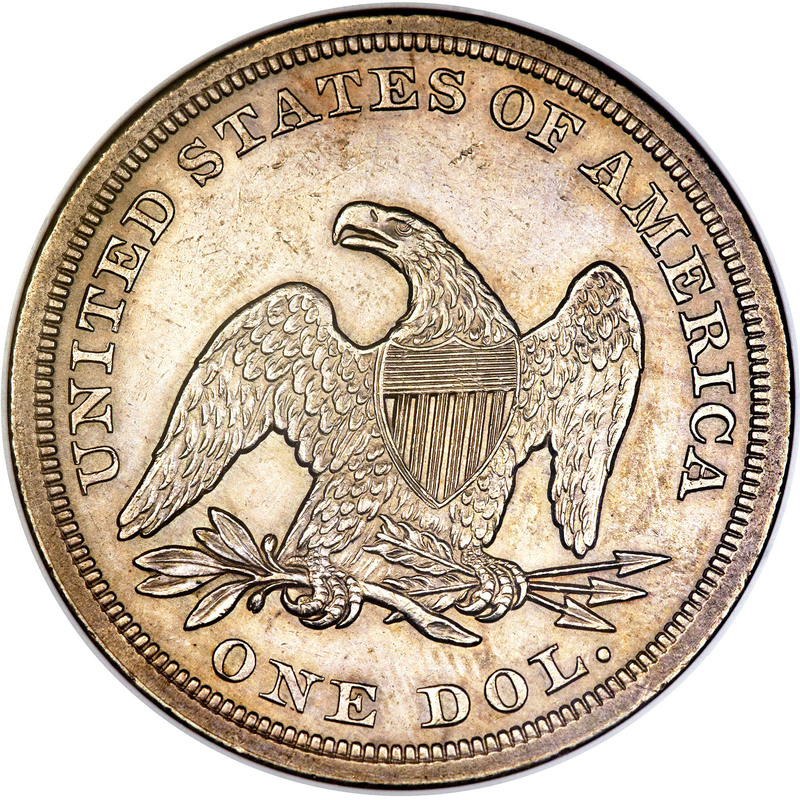 The date is scarce in all grades today, and Mint State examples are undeniably rare.